Home » Wiki » What's the definition of "high" in "High Frequency Switching"? 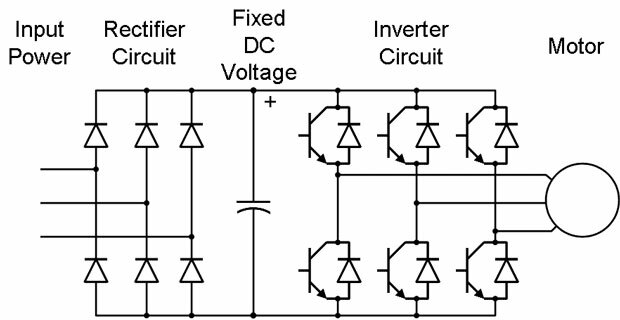 As a designer, one often needs to choose an appropriate switching frequency (fs) for a high frequency switched mode power converter product. 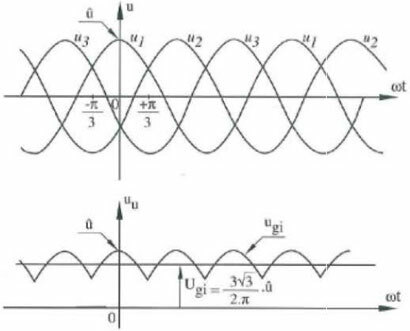 How does one make a choice on the value of the switching frequency? Here, an attempt is made to put forward our line of thought in this matter. The fs in a modern high frequency switching power converter is generally between 20kHz and 1MHz. The 20kHz lower limit is apparently set because it is the highest frequency that is audible to humans. The electrostrictions and magnetostriction that cause vibrations in the various elements at the 20kHz or above will therefore not be audible. That said, it should also be pointed out that a power converter working below 20kHz need not emit any audible noise if the various components are well built to prevent or reduce vibrations. At the same time, a poorly made converter operating above 20kHz can emit audible noise due to sub-harmonics or if the loading patten changes at a frequency lower than 20kHz. In certain cases like power converters for x-ray generators, it is difficult to eliminate audible noise from the pulsed x-ray load it may be subject to. Do not fix 20kHz as your lower limit. If it is allowed by other factors, selecting a fs as low as possible can make the design easier. The upper limit to fs is probably around 1MHz. There is on going research to push this value higher and higher. However, these high switching frequency is at present limited to low power conversion. It can be commercially found in point of load dc-dc converters and single chip converters. 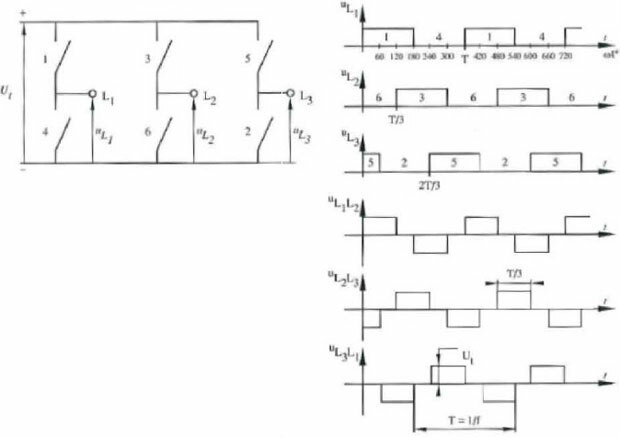 There are severe restrictions in achieving a reliable high power designs at such high frequency. High Frequency need not always mean smaller size. There is a limit beyond which further increase in fs may increase the volume of the converter. 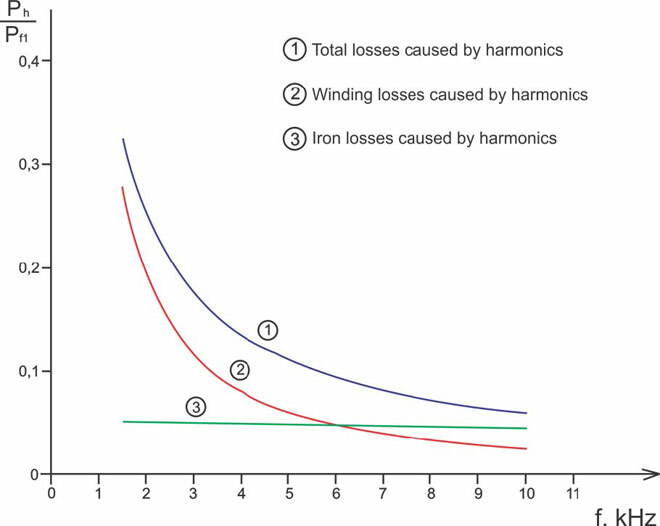 The reasons for the size reductions are primarily because of increase in the effectiveness of reactive components at the higher rate of change of currents and voltages. Transformers, inductors and capacitors all can be sized down. One can even do away with physical components and make use of the parasitics. But there is limit to the reduction possible. There are regulatory requirements that lay down minimum creepage and clearance requirements. Higher frequency switching also results in higher switching losses. These may require larger heat sinking. Skin and proximity effects need to be addressed by using thicker/wider traces or special wires. One may also need space consuming extra shielding for the EMI generated at the higher frequencies. Parasitic elements will become a significant factor as the fs is increased. Bus inductances of few nano henries are enough to cause damaging oscillations when high currents are switched at higher fs. At higher powers, there is a limit to the rate of change of voltage or current a semiconductor device can handle. Higher fs means the converter can have a higher transient response. For example, if the load is a fast microprocessor, it will require a power supply that needs to address the fast load transients. But most applications never require such high transient response. Keep the options of choosing a lower switching frequency for these. In x-ray power supplies, a fast rising and falling output voltage (in the range of 40kV or more) is beneficial. It is generally not a problem to have a fast rising edge. But the fall time is dictated by the filter capacitance and x-ray tube load. High frequency x-ray power supplies can have smaller high voltage filter capacitors and therefore, faster output voltage fall times. Further, the stored energy at the output is lower and therefore the damages due to a high voltage arc are limited. Topology of the converter can also dictate fs. 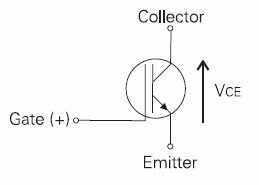 For example, load resonant converters end up having a resonant frequency determined by the parasitics, output requirements and load. Here the fs needs to be below or above the resonance point and limited to a particular range. Other points to take care are sensitivity of the load to the high frequency component; one can only reduce the high frequency ripples. And the higher EMI mainly due to larger parasitic oscillations. Then one should not forget the limits for a EMI compliance tests. A converter operating at 150kHz will have its highest noise at that frequency and this will fall within the measuring range of a compliance test. And it gets pretty difficult to remove that using filters.